Video series brings you on tour with hosts Jamie Strong, Chris Haycock and Aloe Blacc as they give us a look at the favorite LA sites and scenes. Founded by Aloe Blacc and Innovative Leisure in 2005, The Do-Over is an LA-based Sunday afternoon gathering of like-minded culture influencers, DJs, and partygoers. Last year, The Do-Over partnered with adidas Originals to take it to the global stage. Around the world, these events fuse "mystery" musical talents with a backyard feel, resulting in a unique Originals experience that is free and open to both the public and adidas Originals VIPs. This year, the Do-Over will continue to roll out in cities across the world from stateside to down under. 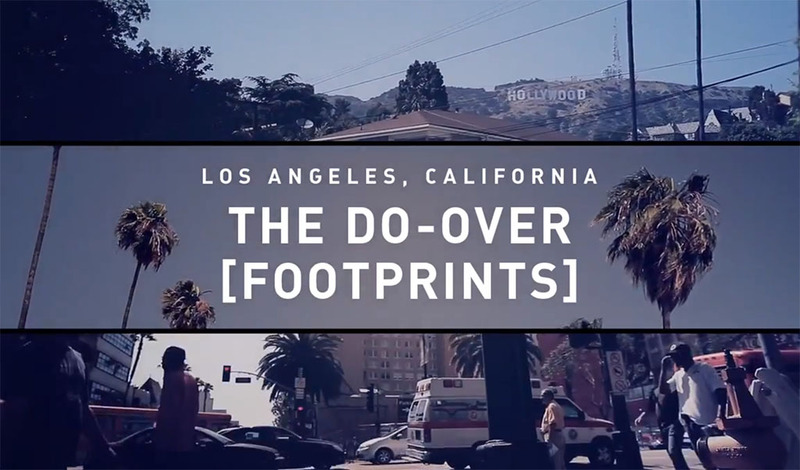 Directed by TheVideoMouse, the Do-Over: FOOTPRINTS video series brings you on tour with hosts Jamie Strong, Chris Haycock and Aloe Blacc as they give us a look at the favorite LA sites and scenes. Jamie shows us the new home of The Do-Over, revamped and re-modeled. Chris takes us on a tour with his brother Waldo of his favorite spots in the city. View all three parts of The Do-Over: FOOTPRINTS below.